OK, hopefully this time for real: CNN has confirmed to Repairer Driven News that an “Anderson Cooper 360” piece on collision repair will air tonight. 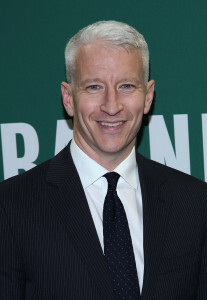 “Anderson Cooper 360″ airs from 8-9 p.m. ET. The piece was bumped at least once, from a “tentatively scheduled” Tuesday airdate. Body shop staff described interactions with the show in interviews with other industry media. They also told other media that the piece was originally to air Monday. Clinton, Mass.-based Clinton Body Shop owner John Mosley told Body Shop Business that CNN looked at direct repair programs and specific vehicles affected by them. “They interviewed the owner of the vehicle at our shop and myself as well,” he told the magazine. “They saw and got a good understanding of what’s happening as a result of the direct repair programs and the effect these programs are having on consumer safety. As you well know, this problem is an industry-wide problem, and shops are as much to blame as the insurance industry. This would all stop if shops refused to participate in any program or repair that doesn’t benefit the consumer. Appraiser and inspector Billy Walkowiak of Belmont, N.C.-based Collision Safety Consultants told FenderBender said he raised a similar point with CNN. The Indiana Auto Body Association urged members to watch in a Facebook post. “So PLEASE PLEASE PLEASE after the showing or even during go to the CNN website and TELL CNN you want them to continue this series and get all the way to the bottom of this insurance greed that is placing all consumer at risk, causing loss of vehicle value, and steering consumers to repair shops that will just cut corners for them to stay on the top of the ‘preferred list,’” the association wrote. Cooper took on the insurance industry’s “delay, deny and defend” policies in 2007 for their handling of medical claims after an auto accident. Read more here and here.